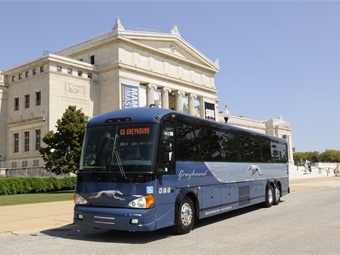 New Flyer Industries Inc. entered into a definitive agreement to acquire Motor Coach Industries International Inc. ("MCI") from an affiliate of KPS Capital Partners L.P. for cash consideration of $455 million, subject to certain purchase price adjustments. Founded in 1933 in Winnipeg, Manitoba, MCI is North America’s leading motorcoach manufacturer and parts and service supplier with 3 manufacturing facilities and nine service and parts distribution centers. As of Dec. 31, 2014, MCI had the largest installed base of motorcoaches in North America with approximately 28,000 units, nearly twice the installed base of its nearest competitor. Well known in the industry for best-in-class quality, reliability, lowest cost of ownership, and a robust coach aftermarket parts and services offering, MCI’s business parallels New Flyer’s leading position in the North American heavy-duty transit bus industry. While there are a few common public customers, MCI does not compete with New Flyer. 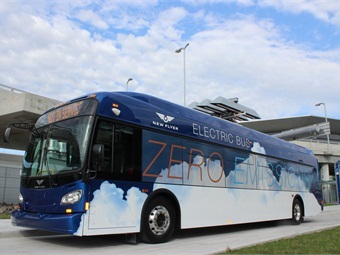 For the nine months ended Sept. 30, MCI delivered 576 new coaches resulting in new coach revenue of approximately $315 million and also generated pre-owned coach and aftermarket parts and service combined revenue of approximately $128 million. Total revenue for this period was approximately $443 million. "We are thrilled to combine North America’s number one brand in heavy duty-transit buses with North America’s number one brand in motorcoaches, said New Flyer’s President/CEO Paul Soubry. “We are very proud of our track record that focuses on employee engagement, customer satisfaction and shareholder value. We intend to build on this success with the addition of MCI and view this complementary business as an important step forward to diversification and growth in areas where we can leverage our OpEx, sourcing, manufacturing, parts distribution and service expertise." Growth: MCI provides New Flyer with strong positions in both the North American private and public motorcoach markets with significant scale in the motorcoach parts and service business. Diversification: The addition of MCI’s new and pre-owned coach business significantly diversifies New Flyer’s product offering and customer base. In addition to various transit customers, a number of which overlap with New Flyer’s existing customer base, a significant portion of MCI’s business is derived from private customers, including private charter and tour operators. Potential Synergies: New Flyer has identified opportunities for cost synergies and plans to implement its operational excellence (OpEx), information technologies and engineering expertise across MCI, similar to what has been successfully implemented with prior acquisitions. Collaboration and Sharing of Technology and Best Practice: The combined entity will employ approximately 4,800 people who share a like-minded commitment to excellence in bus and coach manufacturing and customer support with over 42,000 transit buses and 28,000 coaches currently in operation in Canada and the U.S.
Building on Global Relationships: MCI is the exclusive sales and service organization for Daimler’s Setra coaches in Canada and the U.S. In addition, New Flyer has a strong relationship with Marcopolo S.A., an almost 20% equity holder, with global expertise in bus and coach design, sourcing and manufacturing.